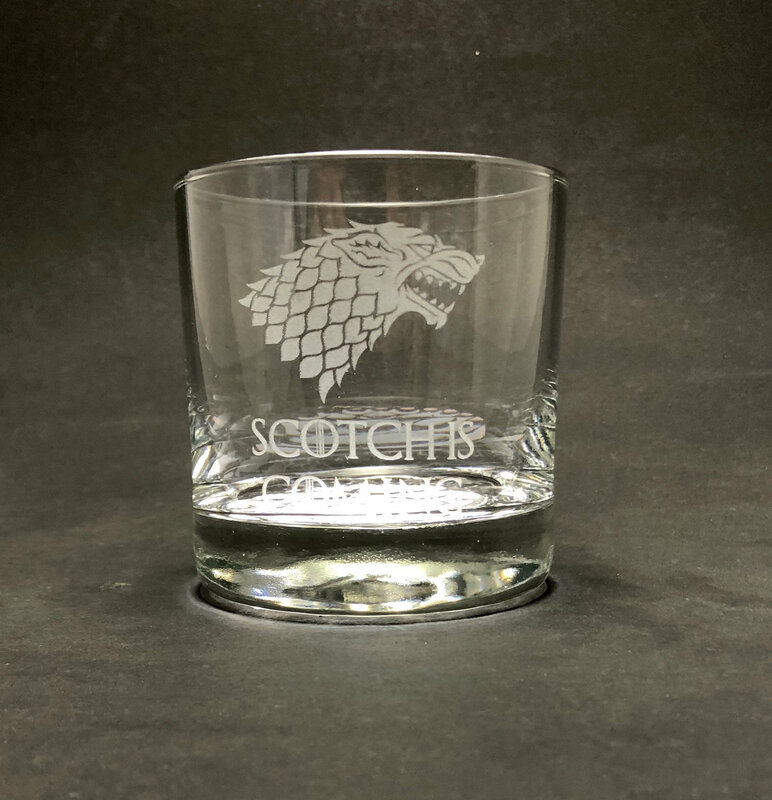 A play on Winter is Coming on a whiskey glass - "Scotch is Coming"
Features a large House Stark wolf and Scotch is Coming. Cool huh? Great quality and wonderful customer service! I cannot believe how quickly I received the glass! I placed my order on a Friday morning and it was delivered Saturday afternoon. 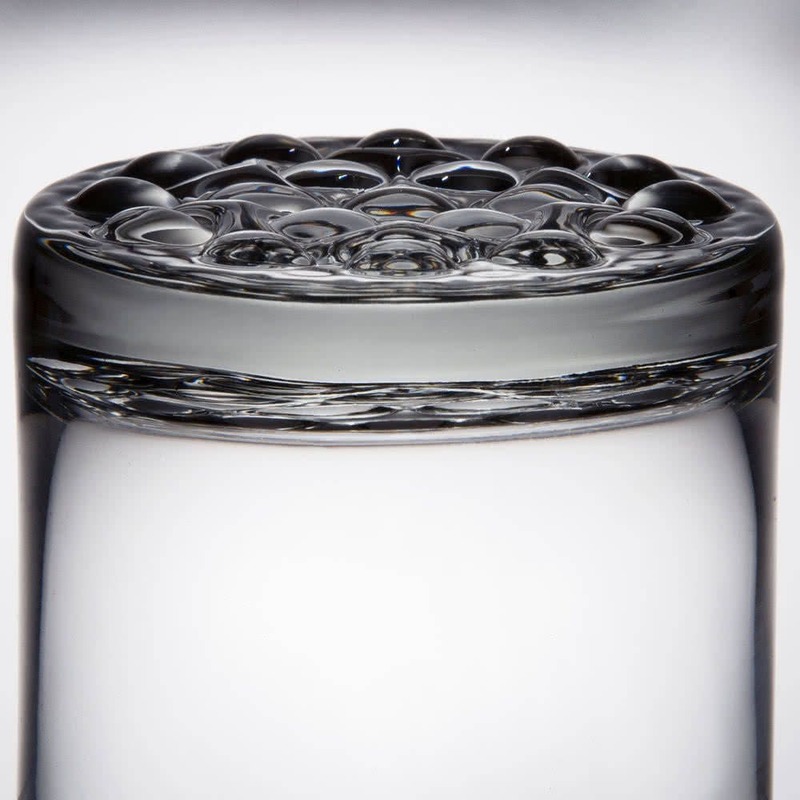 The quality of the glass is even better than I expected and the work is perfect! Thank you! 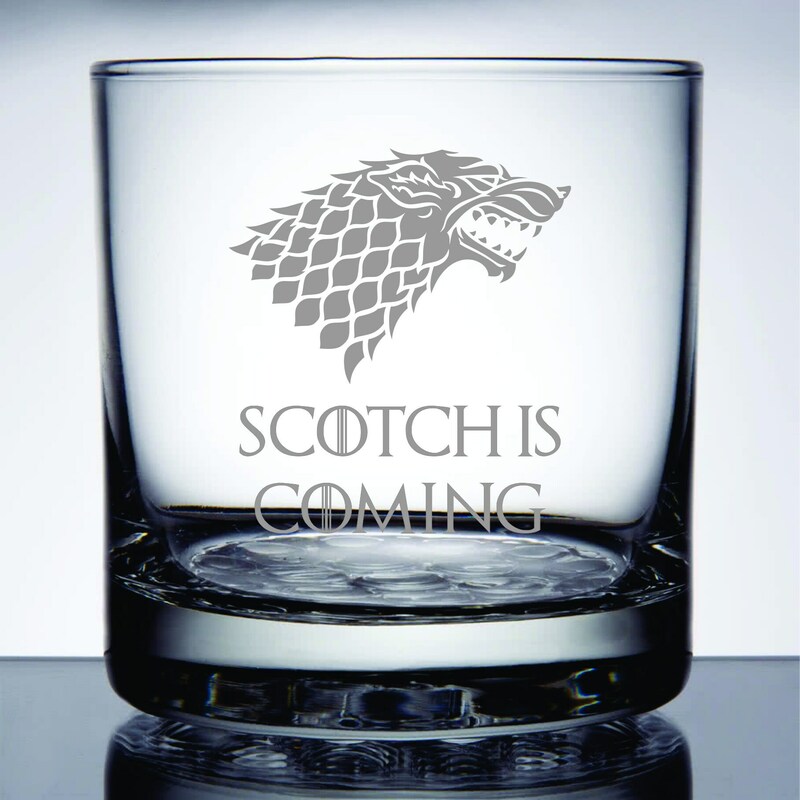 My scotch-loving husband will enjoy these glasses!